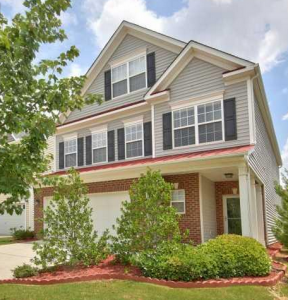 Keystone Crossing, one of the best-located neighborhoods in Wake County, NC, is an ideal place to call home. Convenient location, good schools, lots of shopping and local attractions make Keystone Crossing the perfect location for your family. 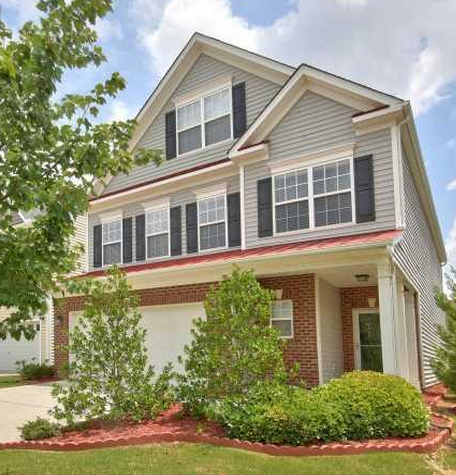 Located just a few minutes from I-40 and I-50, Cary, and Research Triangle Park, and a short drive from either downtown Raleigh or Durham, commuting from Keystone Crossing will be a breeze. Morrisville is also served by the Transportation and Rural Access Program (TRACS). Service is offered by zone, and Morrisville is included in the Southwest Zone, which serves Apex, Fuquay-Varina, and Holly Springs. For more information on TRACS, contact them at (919) 212-7005. Children at Keystone Crossing can enjoy an excellent education. Served by Bethesda Elementary, Lower Grove Middle School, and Hillside High School, students can expect a diverse culture with programs to meet everyone’s needs. Enjoy shopping, movies, fine dining and entertainment including a summer concert series with live performances every Saturday night at the Streets at Southpoint, just a ten-minute drive from Keystone Crossing. Outdoors enthusiasts will have plenty to do at the nearby parks. The Eno River State Park offers wilderness trails, clear rivers, historic mill sites and rugged landscape. The Little River Regional Park offers 7 miles of hiking and biking trails, almost 400 acres of natural areas, a butterfly garden, group campsites, a picnic area and restroom facilities. Fine Arts supporters will enjoy the Nasher Museum of Art on the Duke University Campus. Its collections range from ancient to modern art, with changing contemporary exhibitions. The NC Central University Art Museum houses one of North Carolina’s largest African American collections, and the Museum of Life & Science has a variety of hands-on exhibits for kids to enjoy. History buffs will enjoy visiting the Duke Homestead State Historic Site and Tobacco Museum, Duke University Chapel, and Historic Stagville that features what remains of one of the largest pre-Civil War plantations. Theater aficionados will appreciate the excellent Broadway shows performed various theaters, the Carolina Ballet, and other performing arts. There is also the Raleigh Symphony Orchestra, the Walnut Creek Amphitheatre, and the Koka Booth Amphitheatre, which has been voted the nation’s best small concert venue. Raleigh also offers a wealth of museums, the Marbles Kids Museum, and movies at the Wells Fargo IMAX Theatre to keep the kids happy. Many of the popular attractions are free, and welcome families interested in learning and adventure. From Raleigh to Durham, no matter what your interests are, there is so much to offer. Music, sports, museums, history, outdoors, the list goes on. In addition, when you would rather stay home, Keystone Crossing will welcome your family for a day of rest and relaxation while only being minutes away from everywhere you need to go.